Scooby drink flavor taste just like the classic banana, coconut, melon, and pineapple, cocktail. 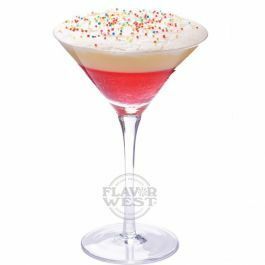 Scooby drink flavor offers an enjoyable experience in drinks and any baking treats. Type: Scooby drink Water Soluble Flavoring. Ingredients: Natural and Artificial Flavoring, Propylene Glycol and Ethanol. USP Kosher Grade Flavoring. Usage Rate: 15-20% for E-use. Flavor Suitability: Suitable for desserts, ice creams, pastries, candies, lip balm and more. Specific Gravity: 1.06 No Refunds on Flavoring.